Thank you Lorredan, another great image from you! Here there is a picture of this triumph of Death in its entirety. Thank you Marco for that investigation and posting the enlarged picture and words. I have two queries as a result. In your translation Christ calls Death "She". I have never heard that before. I am wondering which one is correct? It is a wonderfully modern painting for whichever date and the Horse's eyes make it look like a warhorse for sure. Lorredan wrote: Thank you Marco for that investigation and posting the enlarged picture and words. about the dates, I am afraid I cannot help, I don't have time to research the subject now. But the German site with the transcriptions also says "1351/1400". Since "la morte" is feminine, in Italian art it is generally depicted as a woman. For instance in Petrarch's Triumph of Death she appears as "una donna involta in veste negra" ("a woman shrouded in a dress of black"). 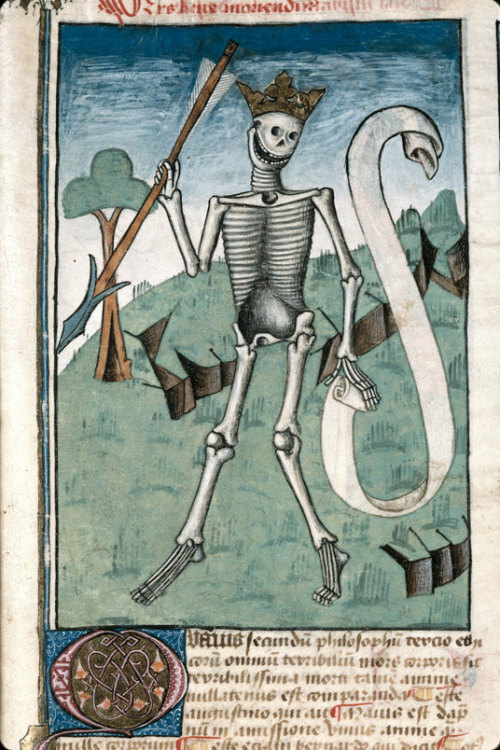 Ars bene moriendi, France 1470-1480. The arrow is related with the Black Death, which gave rise, or at least encouraged, the dance of death. Its interesting the death of PMB has a bow and arround 1450-51 Milan and Pavia suffered great epidemics of plague. 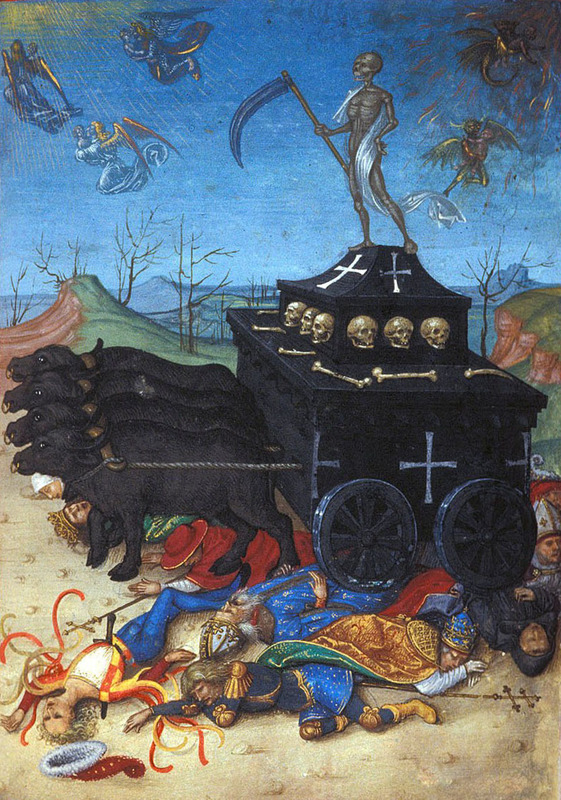 I like this Triumph of Death a lot because of the inclusion of the Magician. Triumph of Death from The art of dying by Girolamo Savonarola, Floroence c1495.